A young couple from small town of Cameron, Missouri SO in love. Kelly and Sarah. 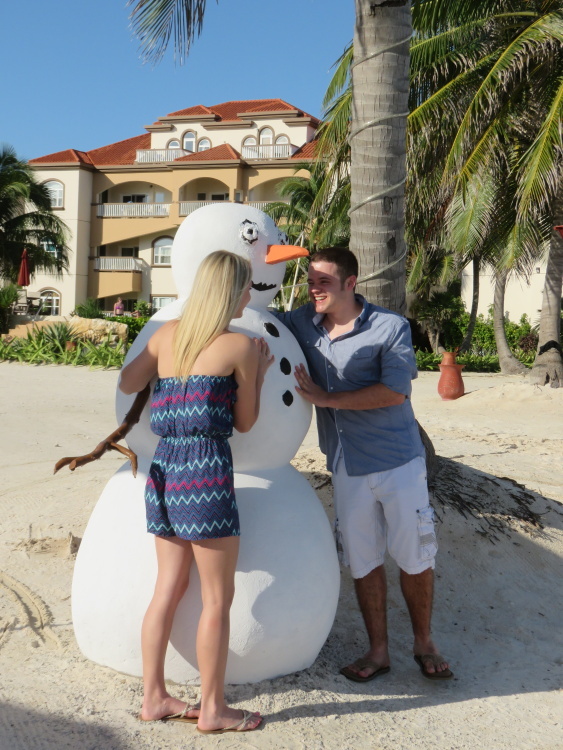 Visiting Belize – 5 days over their Christmas break- for the very first time with his family. 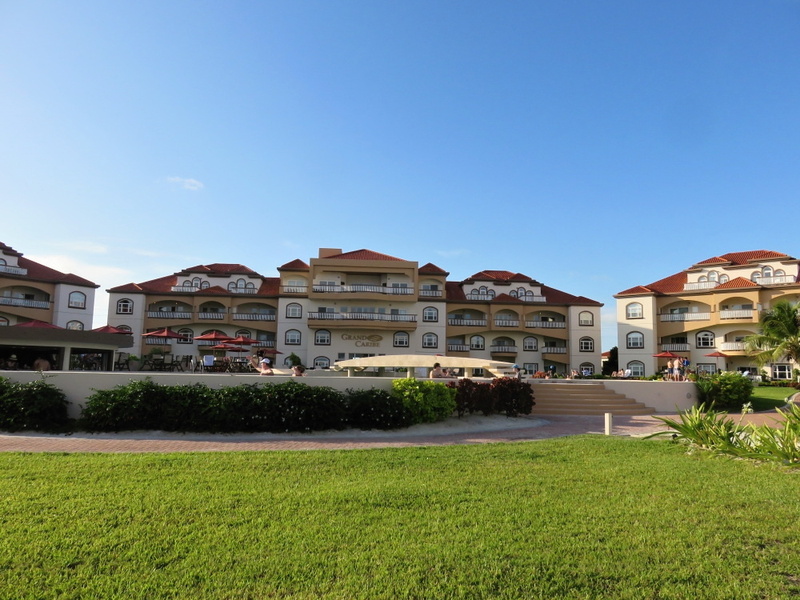 They were staying at the lovely Grand Caribe Resort. 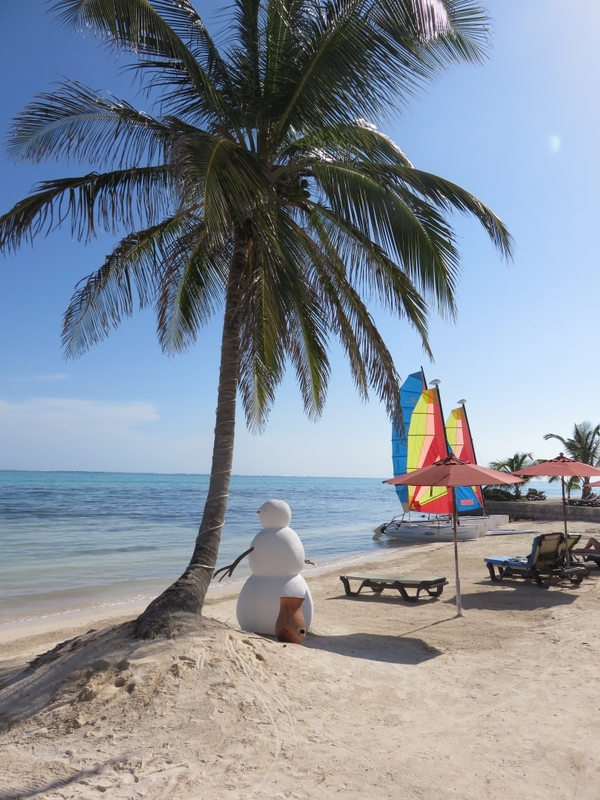 The family had planned a trip to many of the big sites in Belize – to the amazing Lamanai Maya site, cave tubing & zip lining on the mainland – but in the bigger picture? Those were minor plans. 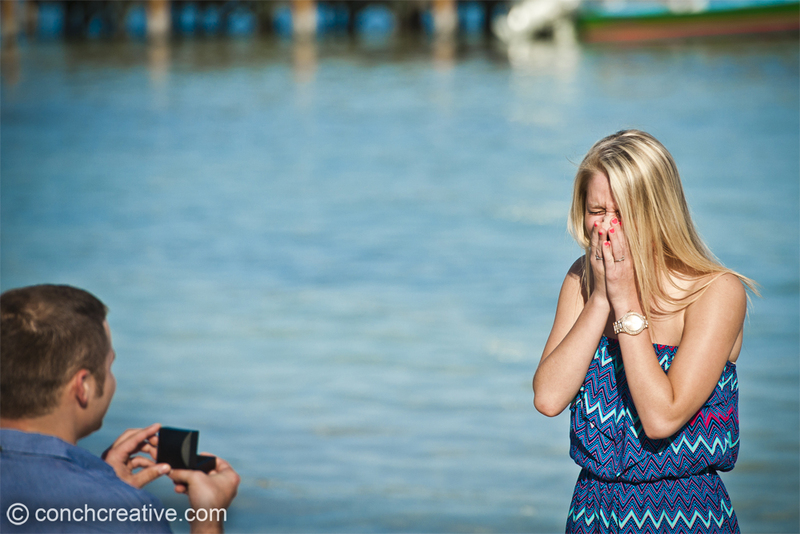 On the very last full day of their visit, Kelly – with the help of my friends and fabulous photographers at Conch Creative – popped the question to his SUPER SURPRISED bride-to-be. And it was one of the coolest things I’ve ever been a part of. We arrived early to meet Kelly’s mother and sister in the lobby. She was totally in on the surprise and we really needed her help with the coordination. This was the set-up. I was in the lobby of Grand Caribe looking for young couples in love. 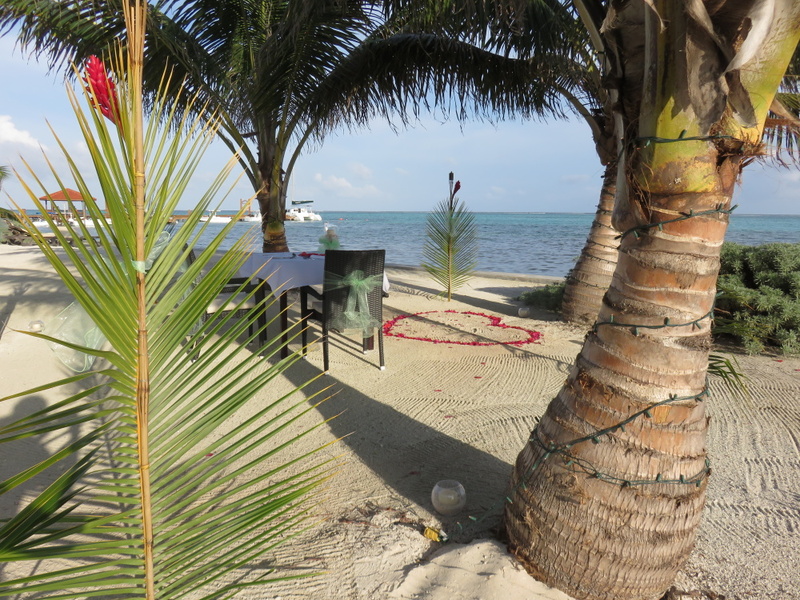 I was doing a story about Christmas Love on Ambergris Caye. While asking at the front desk, I ran into the groom-to-be’s mother and she suggested her son and his girlfriend. Could I ask them a few questions, a very short interview, and have “my photographers” take a few shots for my blog? And they were totally game. Mom said that she met me in the lobby and would they mind? They didn’t at all. They were eager and so so super cute. Kelly and Sarah had met in high school and have known each other for 5 years. Kelly was just accepted and is starting law school this coming semester. 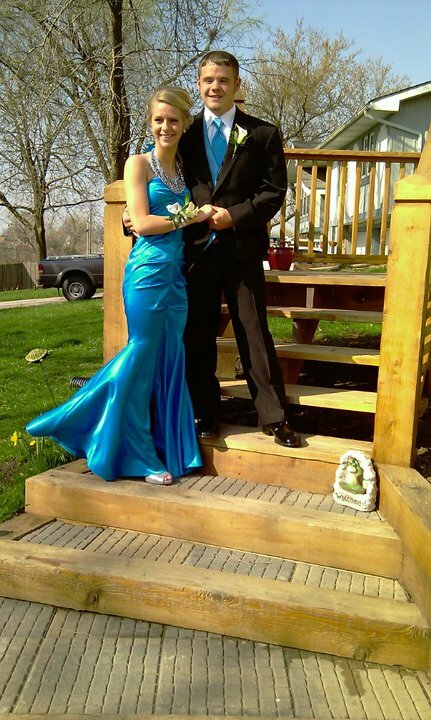 I begged them for a High School Prom picture and…here’s what I got. The theme was UNDER THE SEA! I mean…ridiculously perfect. So I ran through my poorly prepared questions and, I’m quite certain, I was more nervous than they were. 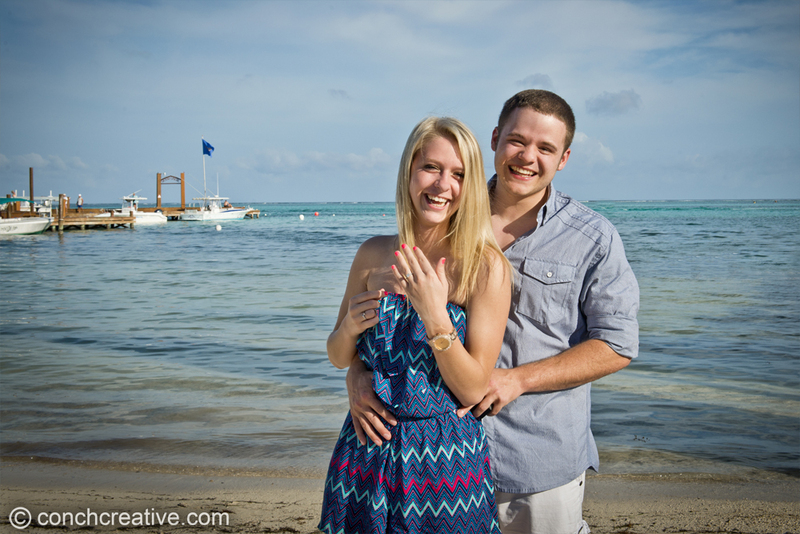 I even idiotically brought up a proposal that had taken place just the night before at Rain Restaurant at Grand Caribe. Thank GOODNESS I didn’t blow it. 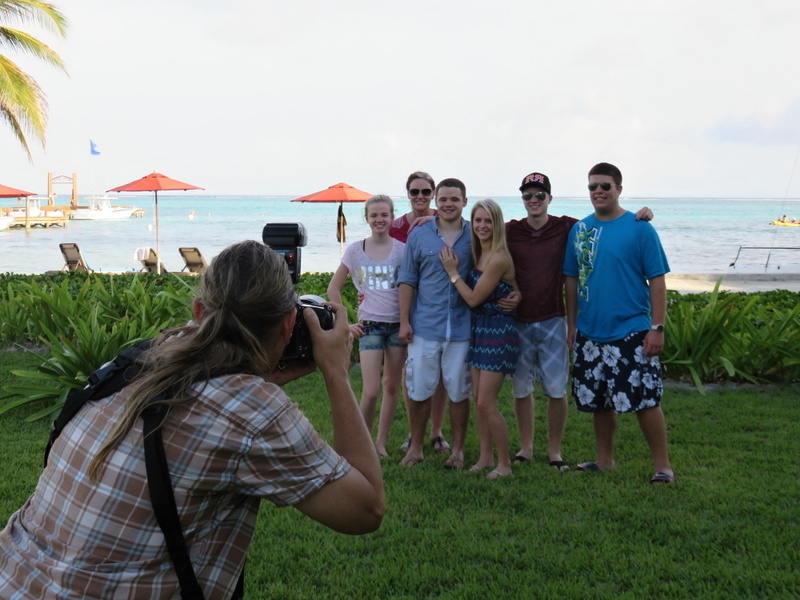 And then it was time for “my photographers” to snap some pictures. As I saw Maya unpacking two SERIOUS looking cameras, I thought the jig was up. Perhaps my favorite part – she didn’t even look at the ring. 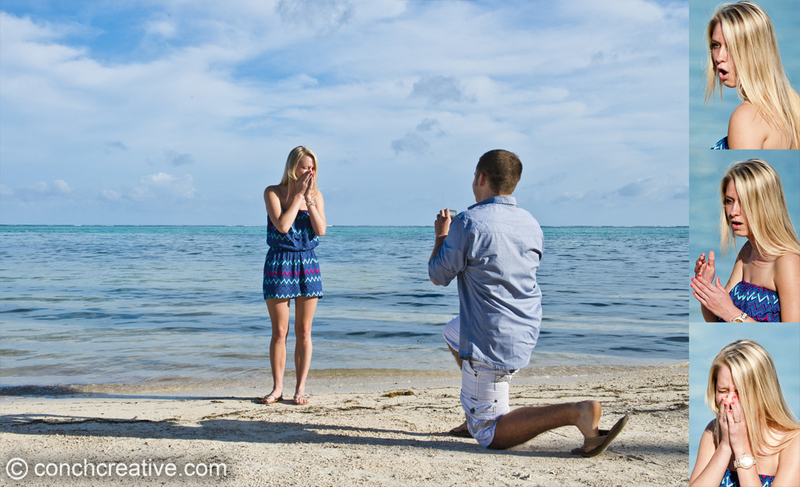 For a few minutes, she just said YES and cried and kissed him and cried some more. His family was watching and photographing and videoing and…crying. I was crying. The photographer’s partner was crying. Sarah could not have been more surprised and this sums it up PERFECTLY. Maya took the couple off to do a full photography session and here are just a few pictures of this beautiful couple. 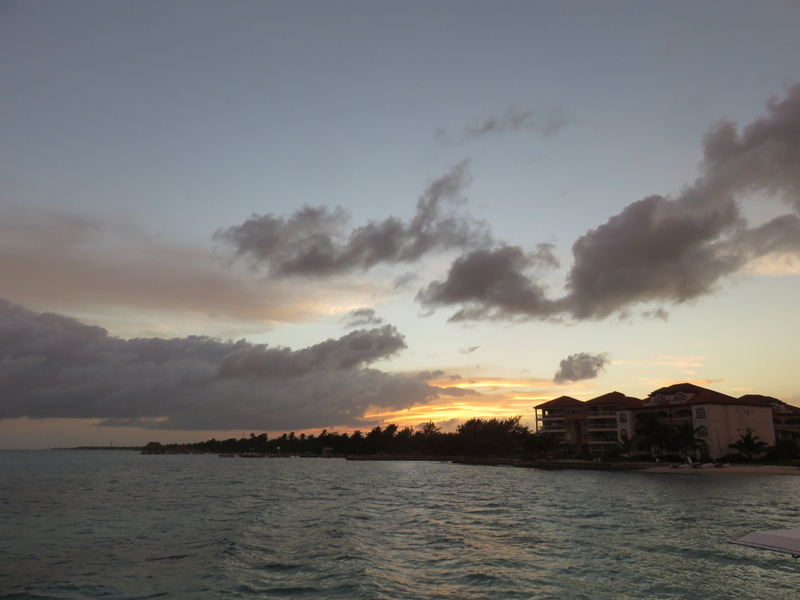 And then we all left them to a lovely beach, champagne and tiki torch private dinner at Grand Caribe. As the photographers and I waited for our water taxi back to town, the sun was setting and it was a GORGEOUS night. Perfect. 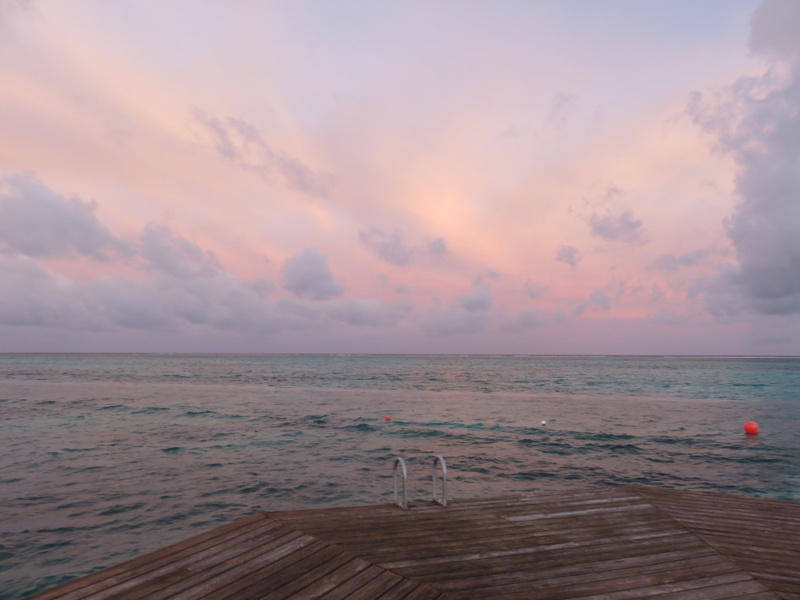 The sky was romance-pink for the pair. Aren’t they just the cutest couple you’ve ever seen? They sent me a beautiful thank you note for my help with the surprise and I couldn’t be more excited for the two of them. 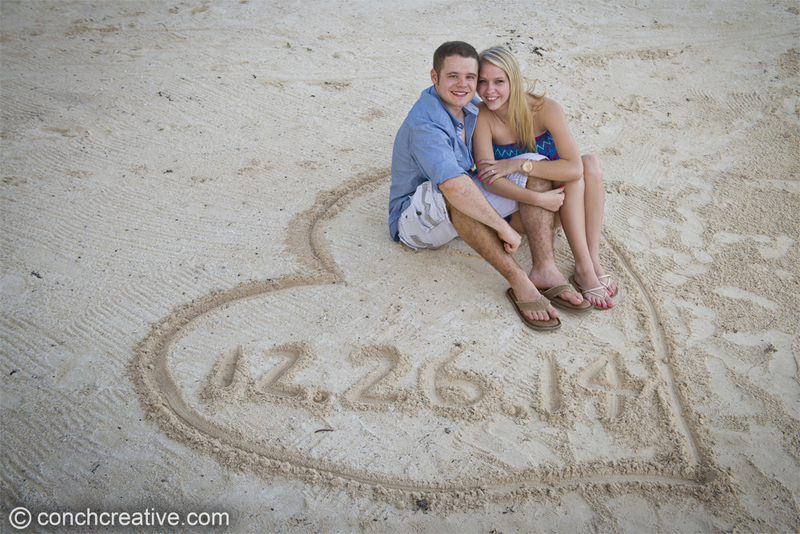 Sarah and Kelly – PROMISE you’ll send me some of your wedding photos. 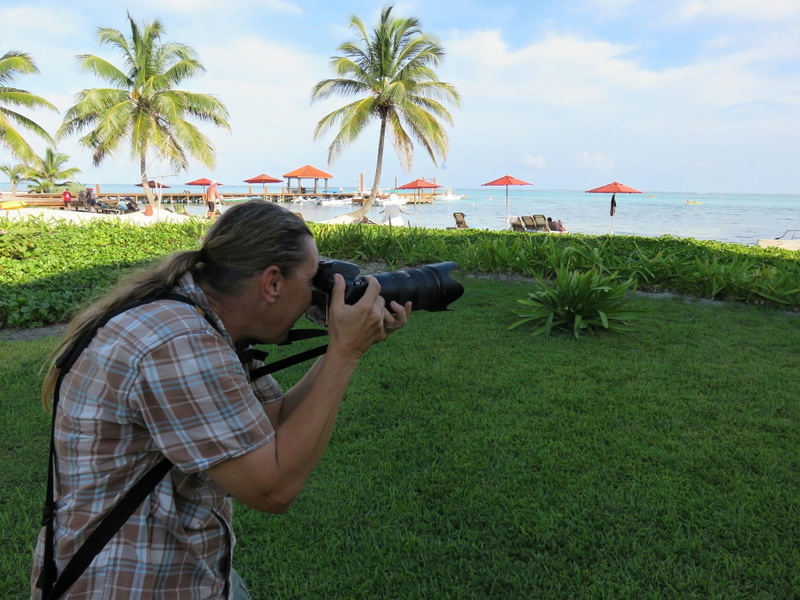 All the best BUT I am hoping that you won’t need to send me the photos because you are getting married in Belize? Maybe. Think about it! Please check out Conch Creative‘s site for more gorgeous pictures – LOTS OF THEM – and their fantastic blog. With just a touching email from the groom, Kelly, they helped coordinate all of this. Down to helping him pick out the proper beach shoes. That has got to be the happiest post you’ve ever written. Too much fun! Awwwww! I was so nervous but these guys were too cute. I like that the guys are liking this one. ROMANCE! I was no where within 2600 airmiles and it makes me cry…..
Kelly, Sarah and our entire family are over the moon excited about your article! We can’t thank you enough for your help with the proposal, and this article is something we will all treasure! When we return to your beautiful country we will be looking you up! Happy New Year! Thanks you SO MUCH for that. You guys were all amazing to “work” with. Can wait to hear about the wedding details! Happy New Year to you all! Sneaky Scoop, I like it! Congrats to the happy couple.